Why Neon Pigeon? Neon lights and pigeons are ubiquitous in urban hubs all over the world, evoking images of social energy, graffiti and late night underground dives. 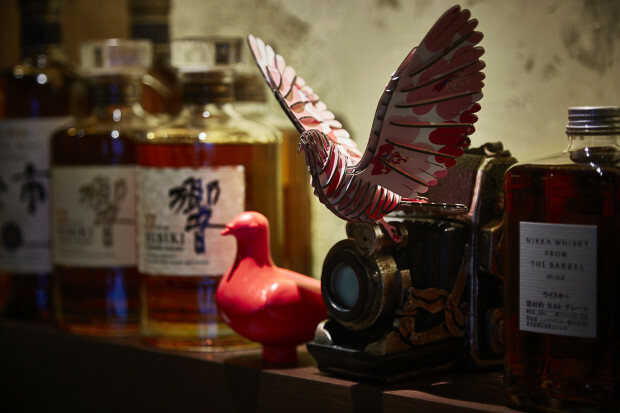 Inspired by a mash-up of New York meets London meets Tokyo, the goal for Neon Pigeon was to capture the essence, rather than the look, of the quintessential Tokyo izakaya. 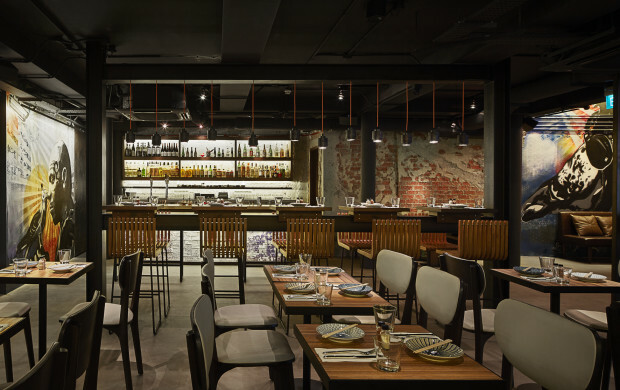 The 1550 square foot space harnesses the buzz and energy of the people, capturing the izakaya essence with a gritty urban twist. In order to capture the urban angle for Neon Pigeon, graffiti was the single most important part of the design, next to materiality and proportion. 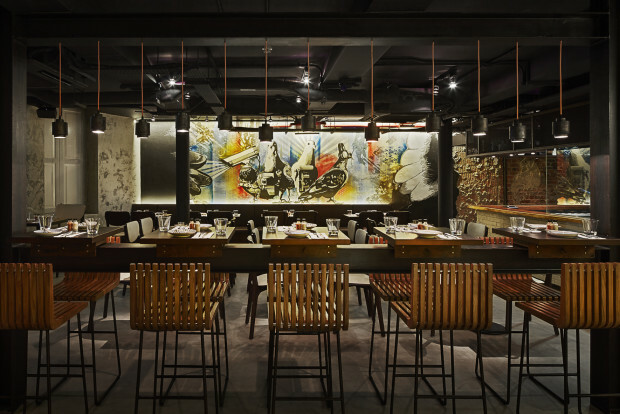 The goal was to create a recognizable brand for the restaurant and drive the overall design, while creating an energetic urban atmosphere. There was a deep collaboration between the designer and artist during this project. 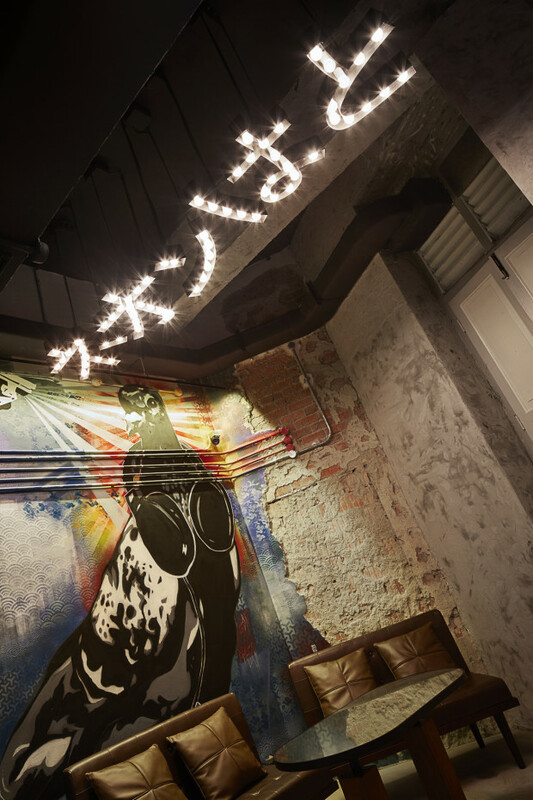 After studying the graffiti styles of Tokyo and New York, the design team worked with Zero, a well known local street artist, to collectively select the style and conceptual direction that best fit with the Neon Pigeon brand. 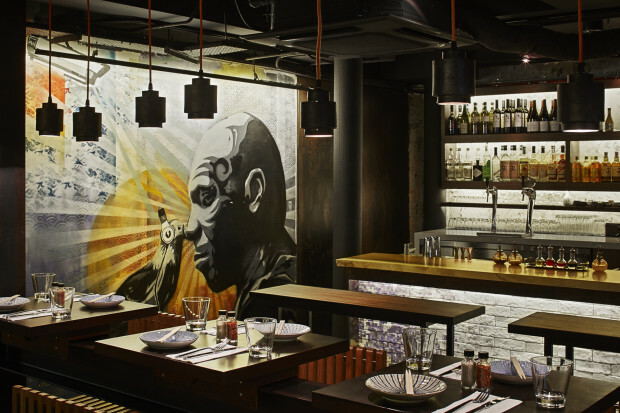 We then brainstormed ways to integrate the branding of the venue into the art itself. The artist then produced digital mock-ups and the team further collaborated together to come up with the final installed works. 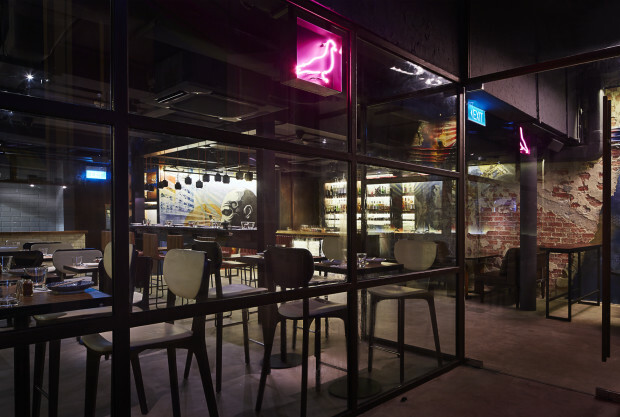 Neon Pigeon is currently one of the hottest restaurants in Singapore, judging by the two hour queues on weekends and the repeated press coverage. In each article covering Neon Pigeon, there is a mention of the vibe that is captured in the space; the energy is palpable and the one-of-a-kind art is a huge contributor to its success.